Mind-bending. Didn't mean that in a good way. British progressive trance artist Art of Trance has left me chapfallen as of late. Once a mighty pioneer of sound in the 1990s and early 2000s, his productions have gone from cosmic to flat-out comic underneath my very nose. His last two singles, Ultrafoxx and Firebird, despite having really ominous-sounding names, were about as exciting as a tour of a doorknob factory's payroll office. I had hoped that our hero Simon Berry, musical maestro and president of Platipus Records, would put my mind at ease with Curve Bender, perhaps a signal that 2017 would bring a better harvest of music. Turns out, not particularly. If you want something that is both psychedelic and uninspired, the Original Mix is your best bet. The song starts with some experimental beats that give the promise of something actually impressive to come, but it ends up being surprisingly simple once you tear your attention away from the slightly off-kilter percussion. Beyond that is an arpeggiation under 2 seconds in length that plays for the vast majority of the song; it's preciously what you hear on a television special when some schmuck is about to be hypnotized... or when the local carnival carousel's sound system gets caught in a loop. Some spooky noises try to draw your attention away from the repetitive nature of the arpeggio, but the only thing that drew my attention away was the murky bassline that farts away to its own rhythm in the background. And you've got your song, folks. It's different, it's bizarre, and it's...not that great as a whole. Simon Berry and Italian producer Gai Barone must be best friends or something because every Art of Trance single apparently can't be complete without a couple of his mixes included. Gai Barone's Light Bender Remix takes a more ambient and trance-laden approach to the source material, coupled with junglish beats and a few twinkly pops of sound here and there. A deep bassline keeps the journey going, alongside some pretty relaxing sounds. This is one to be enjoyed. The song sounds absolutely nothing like the original, nor does it borrow much, if anything, at all; if it didn't say so in the song title, I'd have had no clue. 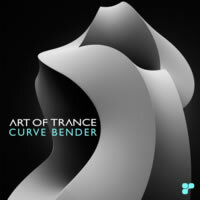 I believe there's a later arpeggiation that resembles the psychedelic one Art of Trance included, but otherwise, this is NOT Curve Bender. This is... well, a new song. It's smoother than the original, I'll give it that, but there's definitely no remix here. On the flipside, Gai Barone's Curveball Remix is a straightforward deep house attack, with dark acid bass rumbles leading the way into a state of confused trance. This one's a bit more of a thumper, suitable for a post-midnight evening out, and aside from an organ-infused mid-section, this one's a subtle club banger designed for anagogic evenings at the club. Just like the remix before it, the Curveball Remix sounds nothing like Curve Bender, and you'd have to literally read the song title to know there was any connection at all. But both Gai Barone remixes are still of greater quality than the original, and that says something. Maybe he knew he couldn't do anything with the material he was given and said, "Heck with it, I'll go my own way." Smart move. I'm starting to severely think Art of Trance is losing his touch. Is he no longer able to conjure any good melodies like decades past? I used to relish in his productions. Now I just pray the new ones are listenable. If anything positive came from this experience, it's that Gai Barone gets some good production practice!